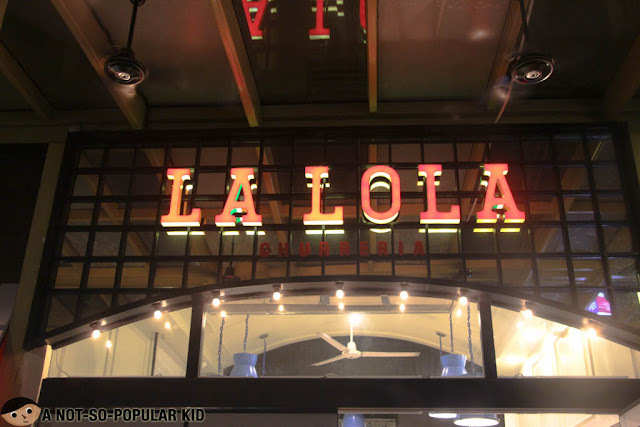 Foodie friends, I know that most probably you already heard or read about this place called La Lola Churreria. 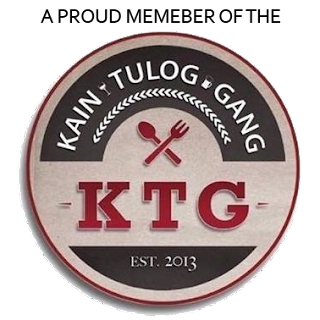 In case you haven't, it's basically a "restaurant" serving, uhmmm, churros of course. 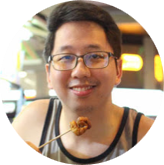 Anyway, we just happened to drop by and give it a try after having a unique burger dinner in Village Tavern (read more), and I would just like to share how my experience went here in this cool new churros place. 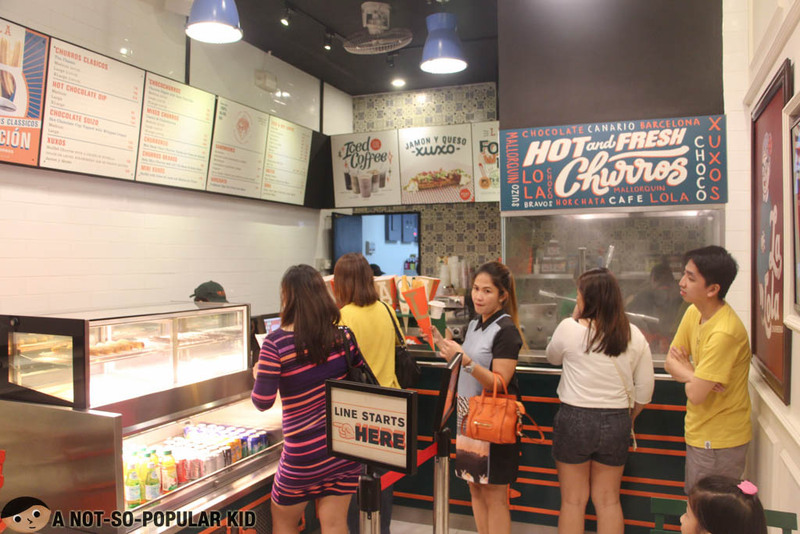 The branch that we particularly gave a visit was this one in Serendra of Bonifacio Global City. It's located between Cupcakes by Sonja and Gelatissimo, so I guess it really gets literally sweet in this part of Serendra. 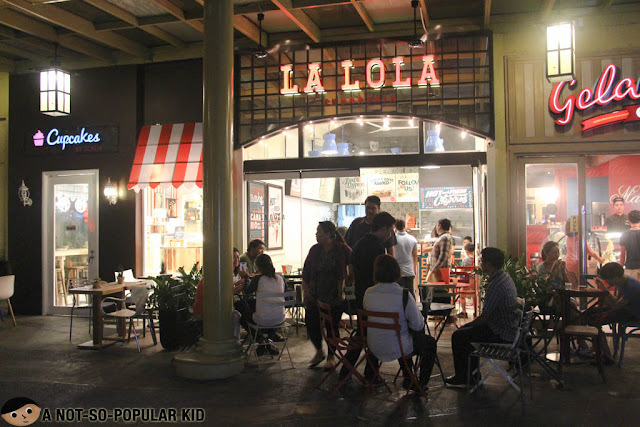 This La Lola of Serendra borrows most of its appeal from the place itself. 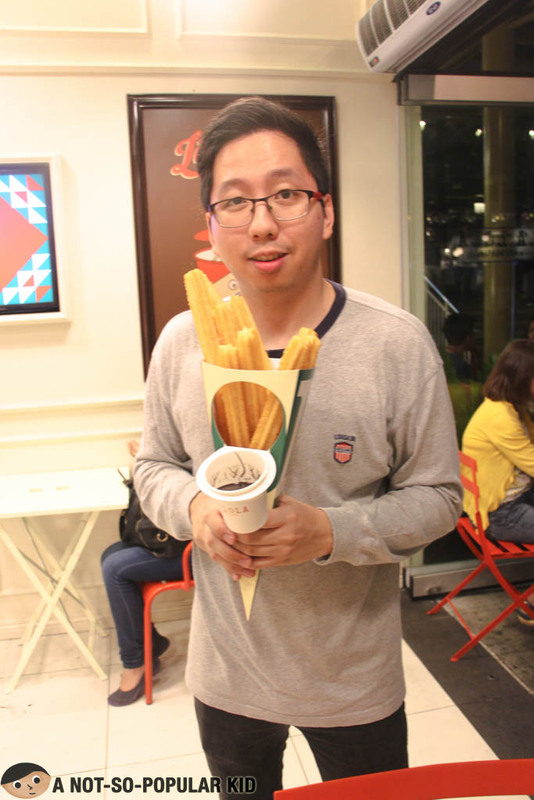 It gives you an al fresco way of enjoying the churros just like how others do it. Actually, you don't have much choice about that one because indoor seats are just limited, probably about max of 8. Others don't mind it because many of them just love to munch as they go. Anyway, let's proceed and check out the star of this place - Churros! The churros here in La Lola is pretty much distinct with its humongous look. 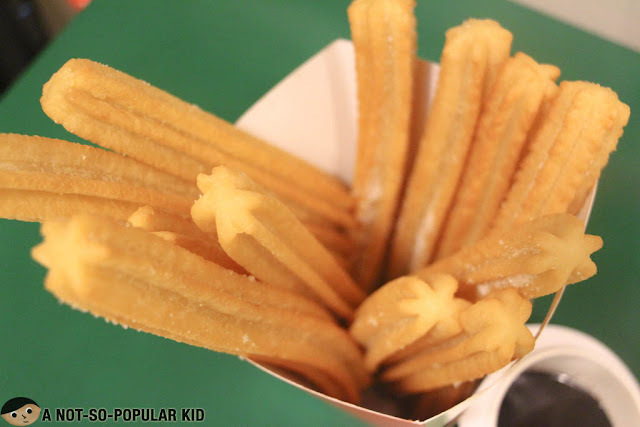 Also, unlike the traditional fish-shaped churros that we are familiar with, this one is straight and chubby. The texture and taste are quite different too. It has this fuller texture (i.e. not airy) which is considerably heavy for the tummy. The taste is soft but gets too tiring due to the oil that it seeped in. Hence, it really depends heavily on the chocolate dip to be enjoyable. Unfortunately, the hot chocolate dip is still not included in the price above; hence, you need to purchase it separately. This is where the price gets a little "jumpy". The prices of the hot chocolate dip are as follows: P60 for medium, P100 for large and P130 for extra large. 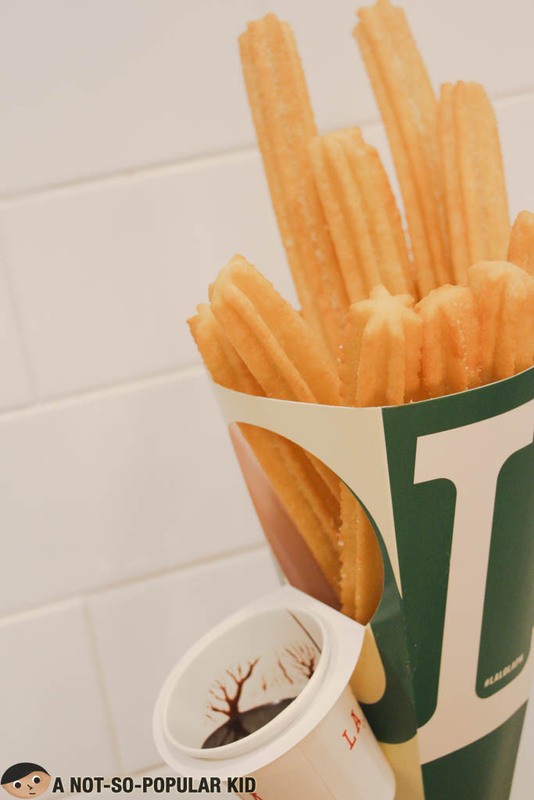 Would rather have a guy give you a bouquet churros than a bouquet of flowers? Hmm, it's tempting right? There you go! I hope you enjoyed this quick blog post on La Lola. Do share what you think by dropping a comment. I'll really appreciate it. Also, don't forget to hit like for the A Not-So-Popular Kid Facebook Page. Overall, I was able to appreciate my experience here in La Lola Churreria. 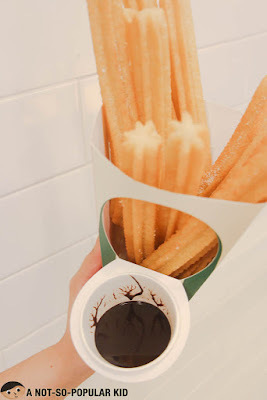 I liked how different the churros were, and how tasty the dip was. However, I would still go for my first churros love which is the one found in Dulcinea.